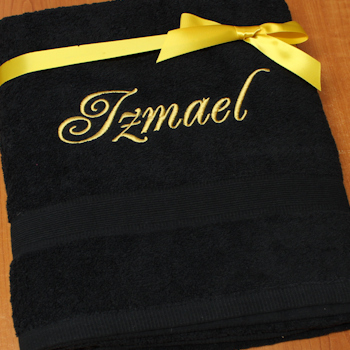 Personalised bath sheet a unique useful gift in your choice of colour. Personalised bath sheet a unique useful gift in your choice of colour. Treat a special person to a unique gift. Popular for birthdays, wedding or anniversary gifts and even a great housewarming gift. Personalised bath sheet a unique useful gift in your choice of colour. Treat a special person to a unique gift. Popular for birthdays, wedding or anniversary gifts and even a great housewarming gift. This large bath sheet sized towel is 100 percent soft cotton. A fantastic extra large size that is also handy on the beach!